South Korea’s top business leaders are booked to join the global debate on the sweeping changes in the making through the evolution from fourth industrial revolution at the World Economic Forum (WEF)’s 49th Annual Meeting in Davos. 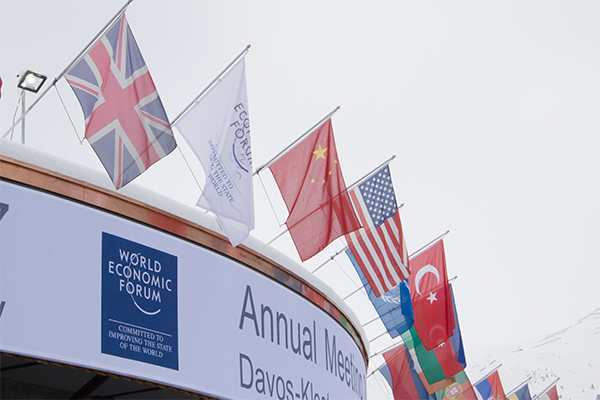 SK Group Chairman Chey Tae-won, KT Chairman Hwang Chang-gyu and GS Caltex President Hur Sae-hong have so far confirmed their attendance at this year’s Davos forum, which will take place on January 22 to 25 under the theme of ‘Globalization 4.0: Shaping a Global Architecture in the Age of Fourth Industrial Revolution’. Chey will stand on the podium to speak on the importance of corporate role in creating social value as he did at the Boao Forum, known as Asia’s Davos Forum, last year. He has been emphasizing corporate social contribution on top of business performance for many years. Hwang, who will be participating in the forum for the second year in a row, has become the first Korean businessman invited to the International Business Council (IBC), a community of global entrepreneurs. From the public sector, Foreign Minister Kang Kyung-wha and Trade Minister Kim Hyun-jong will be flying to Switzerland. President Moon Jae-in has passed up the invitation. The Federation of Korean Industries (FKI) won’t be hosting the Korea Night this year.